As science and technology grows more advanced, laser dentistry continues to evolve and expand into new areas of dentistry. Recent authorizations for lasers in dental treatments include bone re-contouring in the jaws and teeth as well as disease detection in tissues. Laser dentistry in Loma Linda, CA with Dr. Roger Sohn treats periodontitis with greater precision and minimal pain compared with treatment of the past. 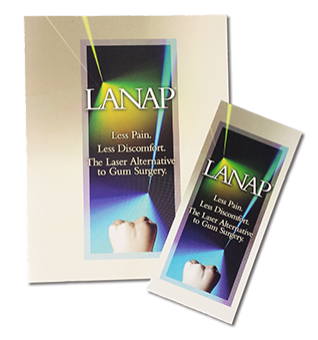 Thanks to laser technology, having gum surgery has never been easier. Doctors from all health disciplines have safely relied on laser technology to make diagnostic and treatment outcomes more accurate, faster, and in many cases, better. In the early 1990s, the Food and Drug Administration cleared laser for use in dentistry, and leading dental providers like Dr. Sohn are taking advantage of it to give patients with periodontitis and other oral problems better diagnostic care and treatments that are more tolerable and beneficial than traditional methods. The word laser means “Light Amplification by Stimulated Emission of Radiation.” In dentistry, electricity is required, along with a few important items, such as mirror to help guide the energy to the target, semiconductors to control wavelength distribution, and a fiber optic system to transport the laser energy. Laser energy is akin to sunlight but with different wavelength properties. Sunlight passing through a prism, for example, will present a rainbow of different colors but a dental laser projects one beam of concentrated light. This light is used to target and destroy disease in a very selective and focused way. When used to provide periodontitis treatment, laser makes the procedure more efficient, minimally painful, and outcomes much more predictable. Laser even keeps working after treatment by stimulating bone growth in the jaw. Dr. Sohn uses the PerioLase® MVP-7™, one of the most advanced and top rated dental lasers cleared by the FDA, to treat periodontitis and other oral conditions. The PerioLase® allows Dr. Sohn to reach bacteria inside periodontal pockets with more accuracy and efficiency. Conventional scalpel surgery requires cutting the gums and rolling them back to scrape away bacteria and tartar, which unfortunately destroys healthy gum tissue in the process. Laser is not concerned with healthy gum tissue, but instead only searches for bacteria and diseased tissue and then destroys them fast. The result is significantly less inflammation and bleeding for a procedure more easily tolerated and a faster recovery. Laser not only treats periodontitis, but it has the unique capability to generate new bone growth around teeth. For the first time, patients who choose laser have a greater chance of holding onto teeth they otherwise might lose. For moderate to severe periodontitis, today’s leading dental professionals choose laser for their patients. To learn more about modern laser dentistry in Loma Linda, CA, call Dr. Sohn to schedule your private consultation today.